I was born in Ghana, West Africa, on the beautiful continent of Africa. As a very proud African woman, the author of: Mother Africa: Thou Art A Continent A Collection Of Essays and Time In Conflict: My Poetry Collections With An African Flavor, I write not to mince words. I am the ‘mouthpiece’ of Mother Africa. I also see and address myself as a ‘walking poetry’. I am not a politician and I am not an ordained reverend. I am not a bishop and I am not a Catholic nun either. I am simply a human being with faults, who is also endowed with creative thoughts. Since in death, we leave all our worldly knowledge behind here on earth, it is appropriate to empty myself right here and now, to let the world enjoy my writings as I live and have breath. I choose to write to provoke intelligent conversations. 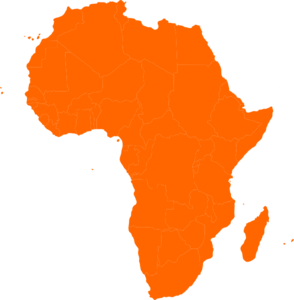 I love to write to educate or to diffuse a lot of misconceptions about Africa, the continent, whose raw materials come to form a higher percentage of our world’s economy. To you the visitor to my cyberspace home called: Time In Conflict, click to read some of my book reviews, be informed by buying my books and I trust that you will come back more often to read some of my educational, informative and yet, entertaining blogs. Feel free to visit my facebook page or add me on twitter @KwofiT. Thank you for visiting and I know that you now know more about Theresa Kwofi, than you first clicked on to my site. Tell your friends about your new-found-love, Theresa Kwofi and her wonderful site: Time In Conflict.